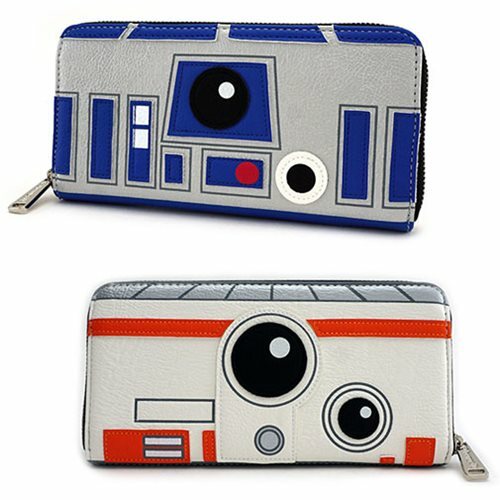 With R2-D2 on one side and BB-8 on the other, this 8-inch wide x 4-inch tall Star Wars R2-D2 and BB-8 Big Face Zip-Around Wallet is a hot item with Star Wars fans who love those delightful droids… and who doesn't? Made of faux-leather, it features printed and applique details and matches the Star Wars R2-D2 and BB-8 2-Sided Big Face Tote Purse (sold separately). Ages 14 and up.